St. Joseph guard Jason James drives to the hoop against New Canaan High Tuesday night. 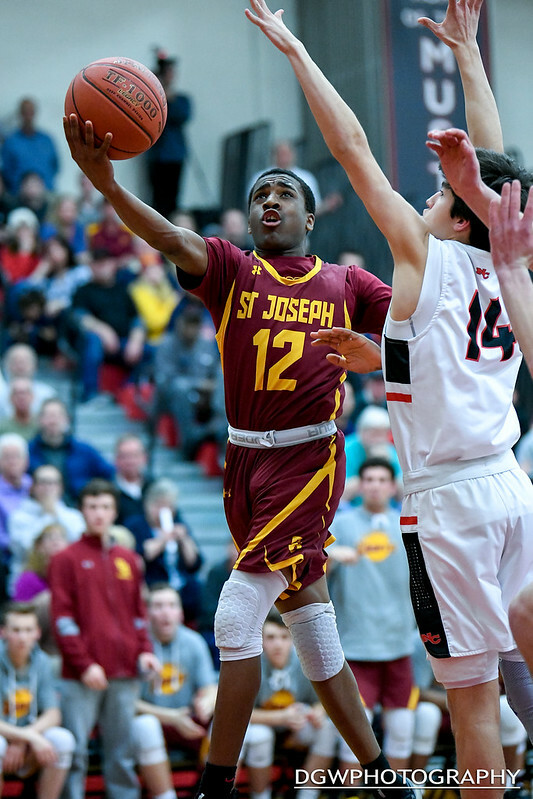 The Cadets fell to New Canaan, 62-51, in the semifinal round of the CIAC Division IV Tournament. You can read the full story here at the Trumbull Times.